No matter how humble, every flea market has treasure potential — but there's never a guarantee. Attending one of the top 10 flea markets comes close though. In most cases, choosing between treasures is much harder than finding one. In alphabetical order, here are America's best and largest flea markets. The Alameda Point Antiques Faire (or Alameda Flea Market, as it's frequently called) is Northern California's largest flea market. Regular shoppers from the San Francisco Bay Area count down the days until the first Sunday of each month, as they should. All merchandise sold at the Alameda Point Antiques Faire is at least 20 years old — and the antique and vintage goods fill more than 800 booths. As the grande dame of the flea market antique shows, the combined booths at the Brimfield Antique and Flea Market Shows make up the largest outdoor antique show in the United States. The event stretches across an entire mile, with more than 5000 dealers filling 21 fields. Brimfield hosts three Tuesday-through-Sunday shows each year, in May, July, and September. Since its 2008 launch, Brooklyn Flea has dominated the New York City flea scene. It's a treasure hunt, urban hangout, and foodie haunt. 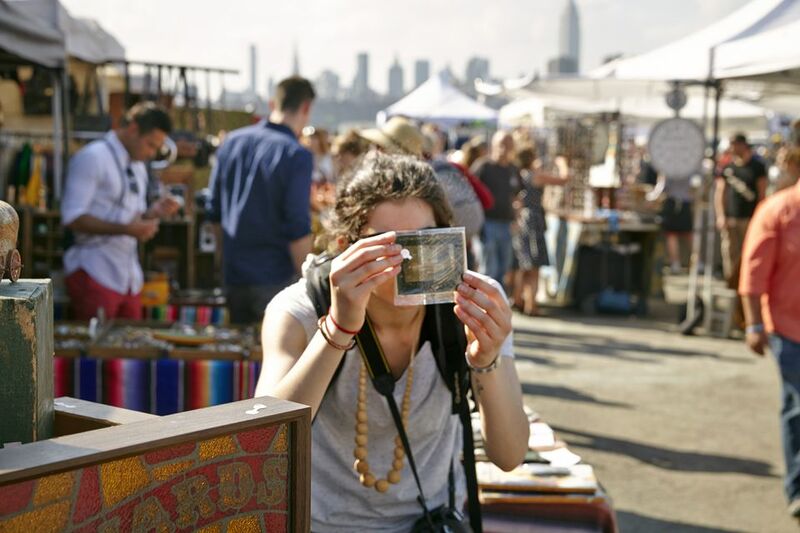 From April through October, shop Brooklyn Flea at its flagship Fort Greene location on Saturdays and visit the DUMBO market on Sundays. The winter market at Skylight One Hanson opens every weekend from November through March. First Monday Trade Days (aka the Canton Flea Market) began 150 years ago as a market to trade horses and livestock. Now selling every imaginable type of merchandise, the flea market has more than 28 miles of vendors. First Monday Trade Days opens on the Thursday through Sunday before the first Monday of each month — and it's an easy drive from Tyler or Dallas. At Seattle's open-air Fremont Sunday Market, you'll find antiques, original artwork, and lots and lots of vintage goods. Even if you don't need a thing, go for the gourmet food trucks. The year-round street market is free and pet-friendly — and it opens rain or shine. The Long Beach Antique Market offers 20 acres of treasure-filled booths for shoppers to explore. The goods are all old too. Everything its 800-plus vendors offer for sale has to be vintage, antique, or collectible. The Long Beach Antique Market takes place at Veterans Stadium on the third Sunday of every month. Image shopping a flea market, fashion house, craft fair, antique show, and vintage market all at a single stop. You can if you visit Chicago's Randolph Street Market. The Randolph Street Market takes place every Saturday and Sunday. The admission price also includes entry at Modern Vintage Chicago, the Indie Designer Market, and the Chicago Antique Market. There's a reason the Rose Bowl Flea Market ends up on everyone's best flea markets list — and it's not just the celebrity sightings. With more than 2500 booths, the market is huge, and the largest sections are reserved for antique and vintage merchandise. The Rose Bowl Flea Market opens on the second Sunday of each month at Rose Bowl Stadium. Northern Indiana's Shipshewana Auction & Flea Market calls itself the Midwest's largest outdoor flea market. Given its 100-acre space and nearly 900 booths, it's not an exaggeration. From May through October, the flea market opens every Tuesday and Wednesday. Organizers host a Saturday swap meet once a month during the season as well. Year-round antique auctions take place each Wednesday morning. Antique lovers, collectors, and dealers buying to stock their shops flock to the Springfield Antique Show & Flea Market for top-notch antique and vintage goods. Depending on the month, the market hosts up to 2500 vendors. The show takes place at the Clark County Fairgrounds on the third weekend of the month, except for June, July, and December.